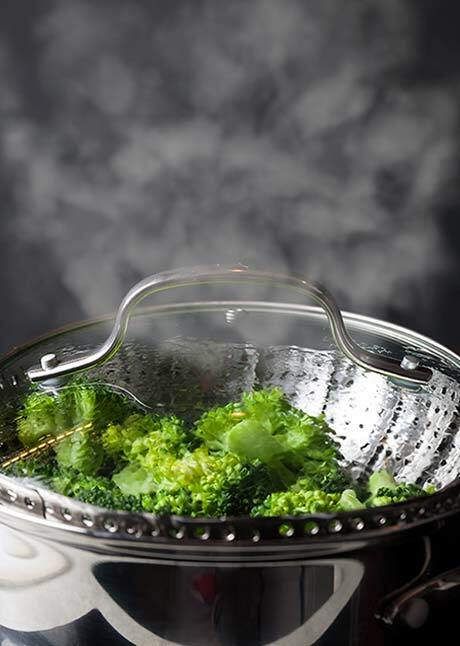 Steaming is a great way to cook your food without sacrificing the nutrient quality, or the taste. It is also one of the simplest ways to prepare your veggies after a long day of work. 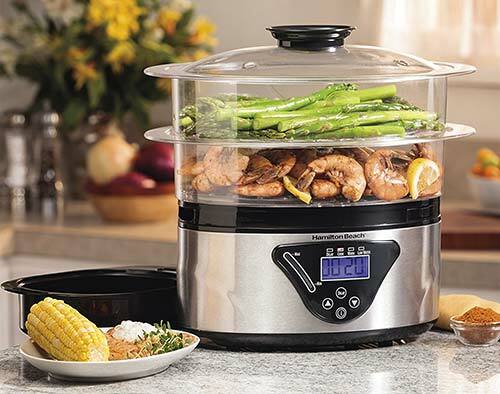 Despite the nutritional advantages of steamed vegetables, many home chefs are left wondering how to use a food steamer in the every day hustle-and-bustle of their lives. The answer is simple: You boil some water and let the steam cook the food. While it may sound pretty simple and self-explanatory, this style of cooking does take a bit of patience and learning to master. 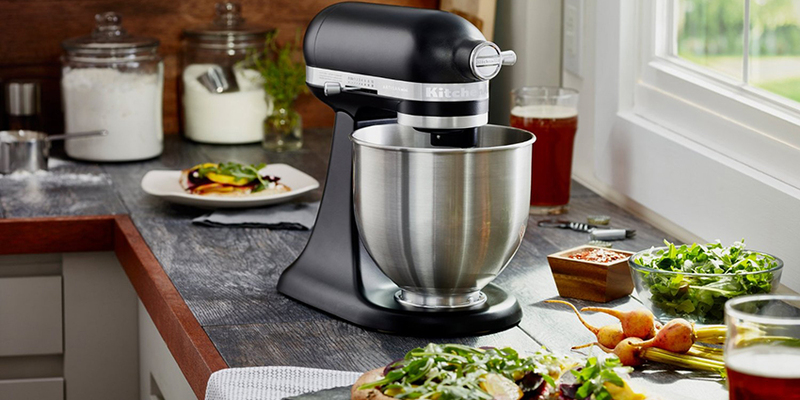 You’ll make some mistakes and probably ruin a few dishes along the way, but don’t let this discourage you. As you learn to cook with steam, you’ll quickly start to notice that your veggies taste better and the process will become easy. 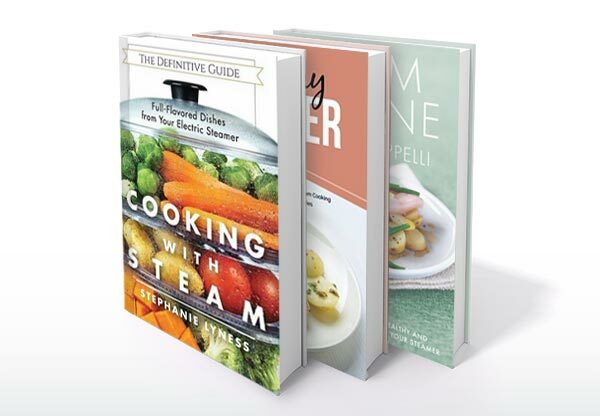 To help get you started, let’s take a closer look at different types of food steamers, as well as some of our favorite tips and tricks to help you learn how to steam your veggies like a pro. Before you learn how to use a food steamer, you must first have a general understanding of the type of steamer you are using. Here is a quick summary of two food steamers that you will most likely be using. 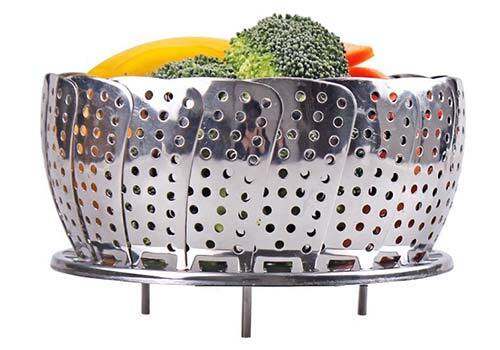 A steamer basket is the most common way to steam vegetables. This simple houseware is inserted directly into a pot or pan, and then used on the stove or in the microwave. The concept is rather simple, you just add a little bit of water into the pot, place your veggies in the basket and then close the lid to the pot. As you boil the water, the steam will stay contained and cook your veggies. 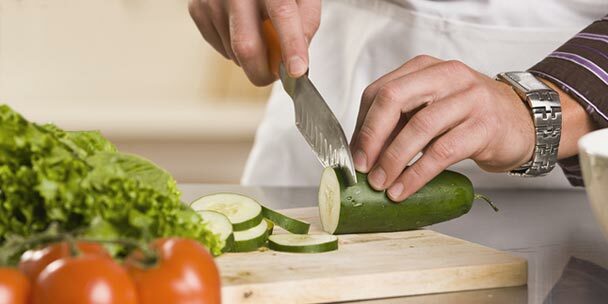 For vegetables, the overall cooking time will vary based on the type and amount you are cooking. Typically, you’ll want the veggies to be soft enough that a fork can easily go through them, but still have a bit of firmness to them. Soggy vegetables are a sign they’ve been cooked to long. Steaming meat is a little more trickier. Fish should start to flake away at the thickest part when it is done. Chicken should always be cooked all the way through the middle. An electric steamer follows the same concept as the steam basket, but it’s a standalone cooking appliance that is designed to do the work for you, right there on your countertop. You add the water and the vegetables you plan on steaming, close and lock the lid, and then select the appropriate setting available on your appliance. That’s it. Much like other small cooking appliances, there are many different types of steamers available for you to choose from. Some food steamers feature multiple tiers that allow you to cook your entire dinner all inside one appliance at the same time. Others are smaller and will only cook one item. 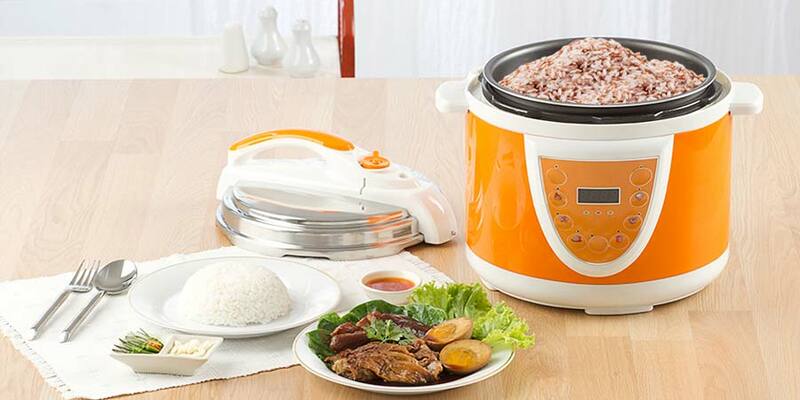 The most common example is an electric rice cooker. No matter what type you decide to use, all food steamers have their own set of pros and cons. It’s always wise to read the reviews before you buy any appliance for your home. 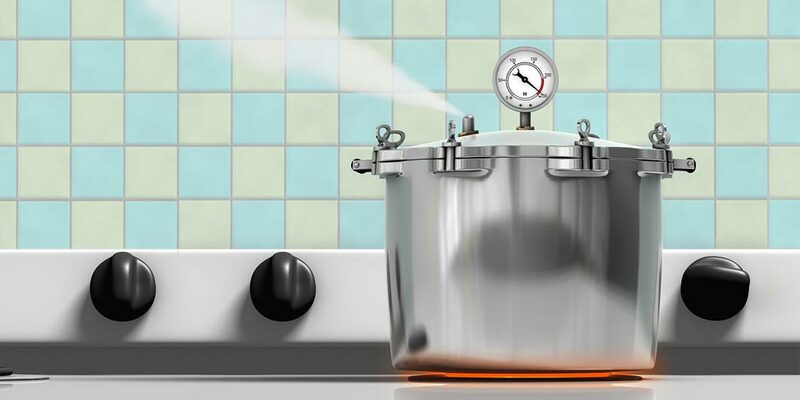 Now that you know the type of steamer you’ll be using, here are some general tips to help you learn how to use the steamer, as well as make the best tasting dishes possible. First things first, the most important component of steam cooking is the water. Of course, adding the right amount of water is where the key lies. When you are using a steam basket on the stove, you’ll want to start by adding about one or two inches of water to the pot. You do not want the water to go above the steamer basket once it is placed in the pot, as this is one of the fastest ways to ruin the meal. 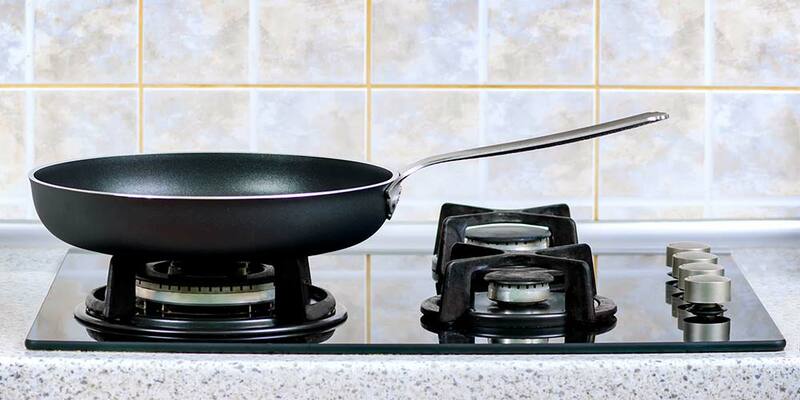 However, you do not want to put too little water, as this could lead to you burning the pan if the water boils up before you are done cooking your food. As you start to learn how to steam vegetables, it is pretty common to want to just throw it all in the pot at the same time and turn it on. However, you might find that the final dish is better when you first bring the water to a boil, and then add your vegetables or other food items. Once the water is boiling, simply add all your veggies, close the lid and allow the steaming process to start. You may also want to experiment with turning the heat up or down while your food is steaming. This is where it starts to gets tricky. One of the most difficult tasks that a home chef faces is to get everything on the table at the same time while keeping everything hot and tasty. 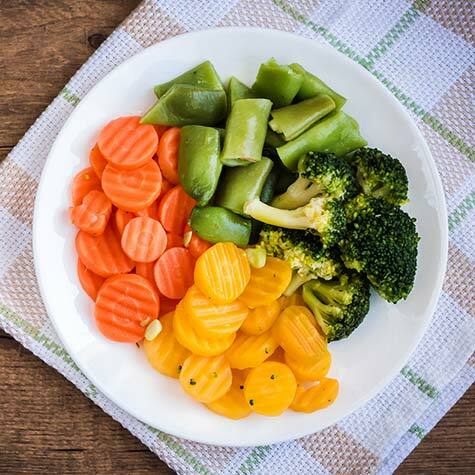 Steamed vegetables take just a few minutes to cook, so they make a great last item on the to-do list. However, there are still times where you might find that your vegetables or other food have completed steaming before you are ready for them. If you find yourself in this scenario, simply turning off the steamer or heat source will not be enough. Rather than leaving them in the pot where they will slowly continue to cook, becoming soggy, place them in a bowl filled with ice water. 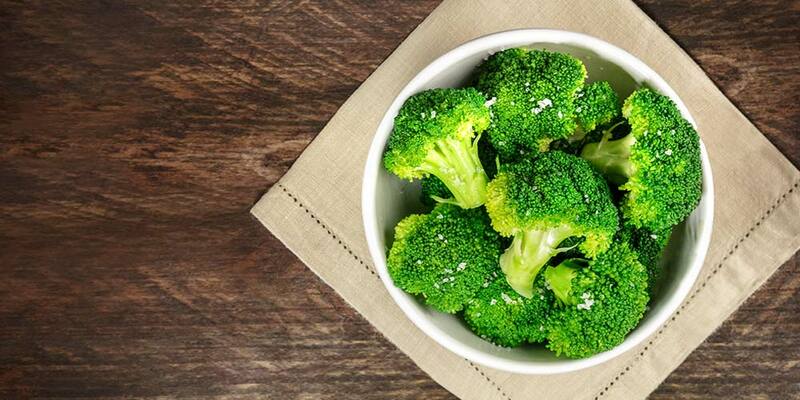 This will help keep your veggies crisp. Although the most common way to steam food is by using water, but don’t limit yourself to this. Get creative. Infuse your food with a slightly different flavor. Instead of using just plain ole water, try using chicken or vegetable broth. Perhaps add some salt or lemon to the water before it starts to boil. If you feel extra adventurous, add some herbs to the water, such as rosemary sprigs, sliced garlic, dill sprigs or lemongrass. You will get a hint of flavor, but it will be less than if you used the herbs directly on the food. Just keep in mind as you experiment, that these may change the amount of time it takes to get to a boil, which might impact the overall cooking time. For your food to properly cook with a steamer, the steam must actually touch the food. If you have a loose-fitting lid, then a small amount of the steam will escape and you’ll find it more difficult to cook your food. In the majority of instances, this may just be an inconvenience that lengthens the process or slightly alter the way the food tastes. However, in more severe cases, such as if you’re cooking chicken, you might end up with under-cooked food. 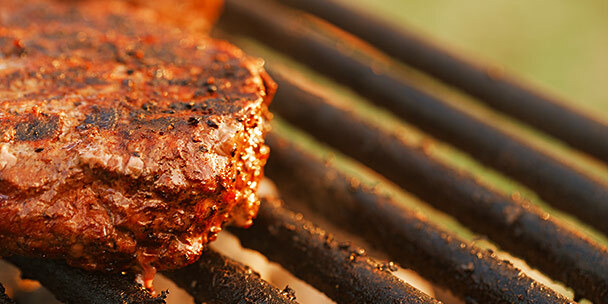 A meat thermometer is the best way to prevent you from serving ill-prepared food. 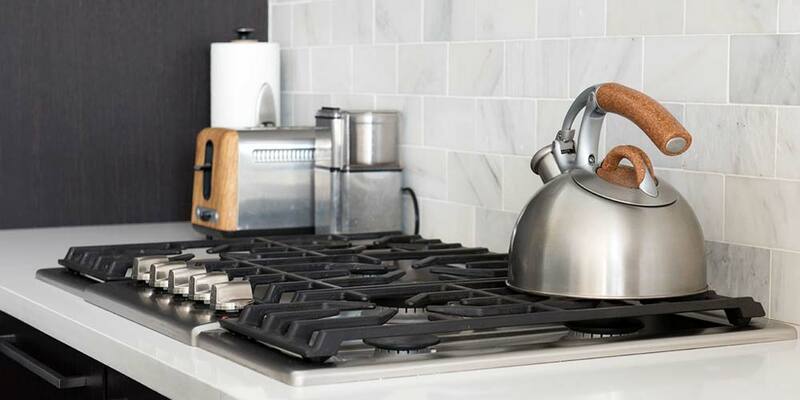 If you’re using a steam basket on the stove, a loose fit will sometimes occur. When you see this, try adding a tea towel between the top of the steamer and the lid. 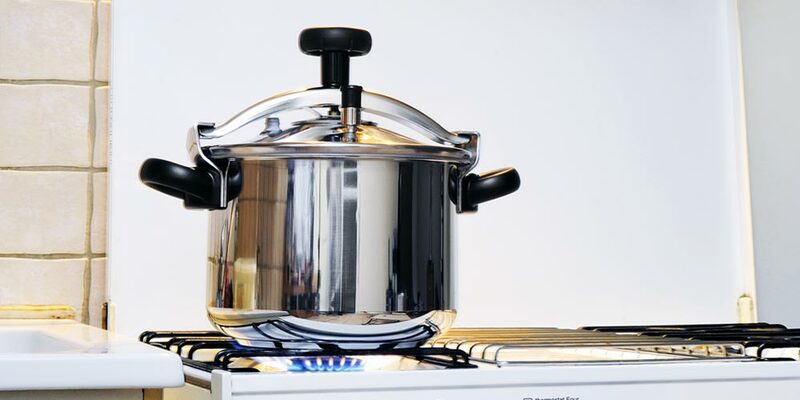 If your electric steamer has a loose lid, then you should not use it at all. Another way to create a delicious meal with steaming, is to prepare your food before you start the cooking process. For vegetables, you might wish to add some herbs, spices or garlic to the mix. Rather than just sprinkling the herbs in the pot, roll the vegetables into a bowl that has some olive oil and herbs mixed together. You can also sauté garlic and olive oil and add to the vegetables at the end. You can also do the same when you cook fish or chicken. You may also want to consider allowing your meat to marinate for a short period of time. Steaming is a simple way to cook, especially once you know how to use a food steamer. Like any new appliance, it may take a little bit of experimenting to learn. But once you get the hang of it, you’ll be able to whip up a flavorful bowl of veggies or a juicy chicken breast without breaking a sweat, all while retaining the full nutrient profile of your food. How did you learn how to use a food steamer? What tips would you add to the list? Let’s hear it down in the comments below. doesnt slow cooking defeat the object of using a steamer? Hello I have one of the Rival Steamers, and I really like it. I put veggies in it, and turned it on for thirty minutes, and the veggies were so very tender just like we wanted it. I would buy it again when mine goes out. it is very very good. 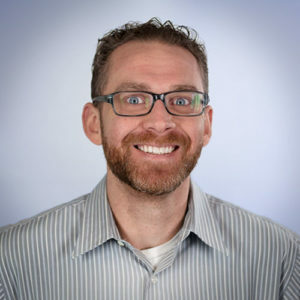 my husband is a diabetic, and has to watch what he eats, and its very good. I would like to know more about steaming meats I have a problem eating, and could you let me know about the thin meats? thanks. 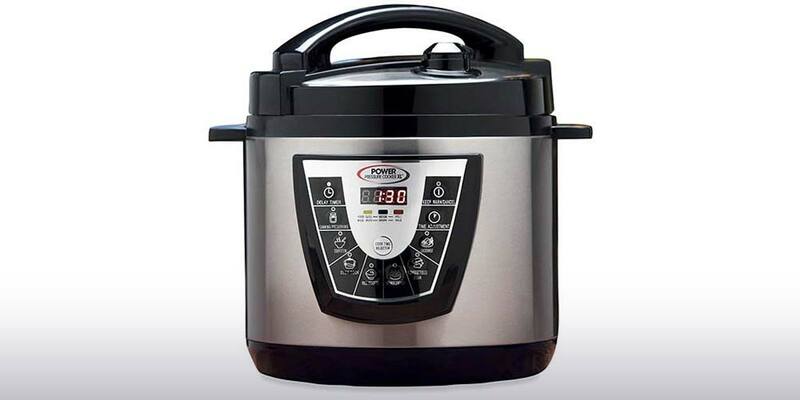 Pressure Cooker vs. Slow Cooker: Which One Is Right for You?